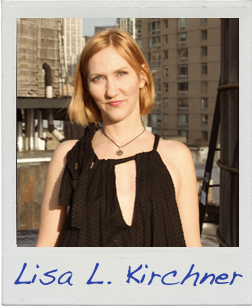 Lisa L. Kirchner is the author of Hello American Lady Creature: What I Learned as a Woman in Qatar. At one time she was simultaneously the dating columnist for an alternative newsweekly, bridal editor for a society rag and the religion reporter for a gay and lesbian newspaper. She lives in New York City. She writes and teaches yoga pretty much everywhere she goes. More at www.LisaLKirchner.com. Read the first page of Lisa’s story!